Often there isn't any bread left in the house and I'm not keen on cereals so I whip up these small fluffy pancakes for breakfast. They are so easy and lovely with a few frozen berries sprinkled on before flipping over. 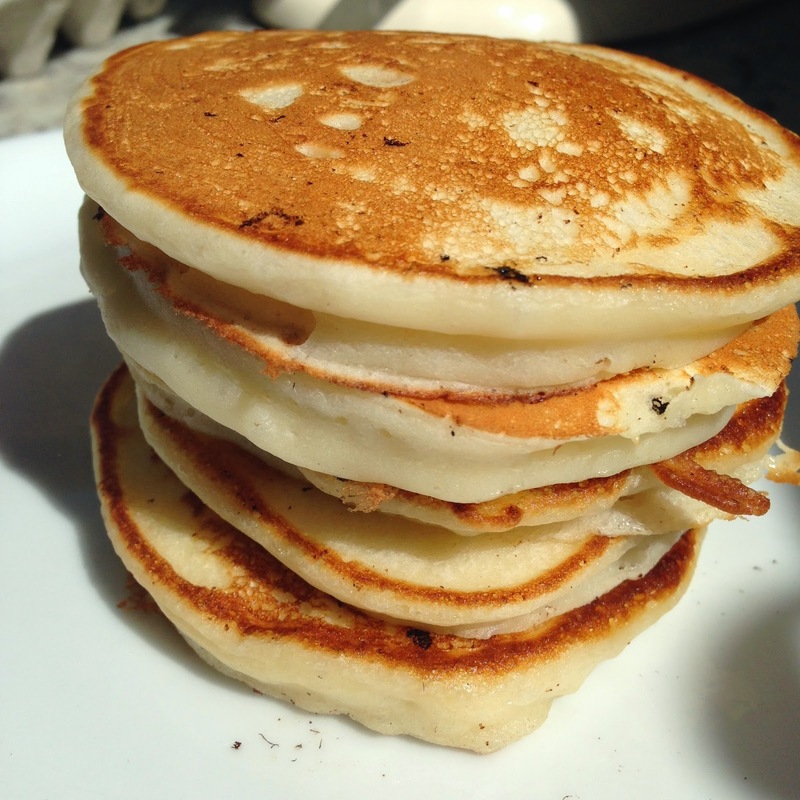 I have tried so many different recipes for these pancakes and decided to make my own version which I must say worked perfect this morning. 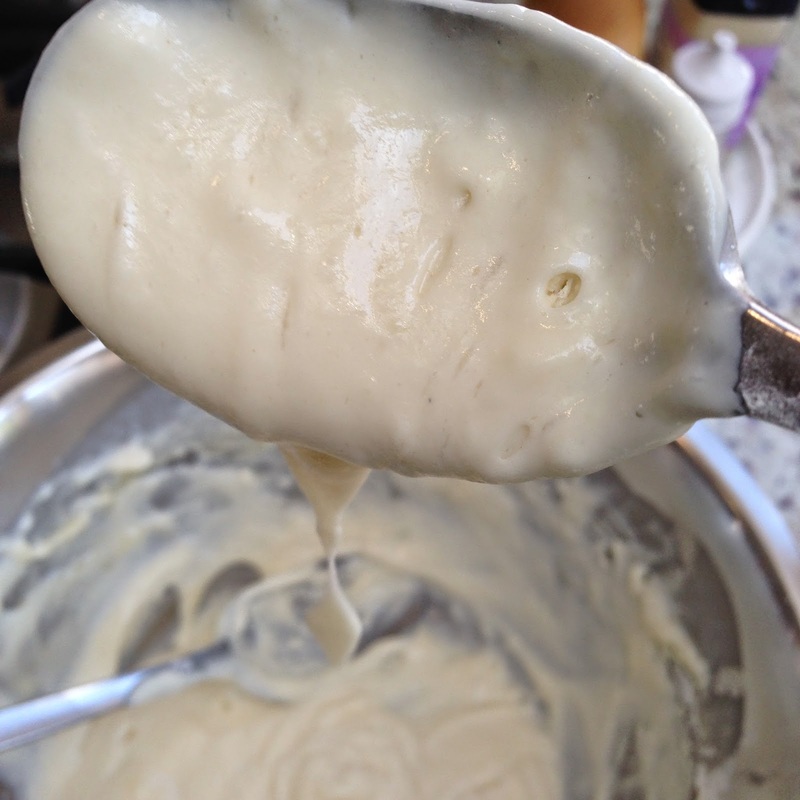 Add flour and gently stir together, should be thick whipping cream consistency. 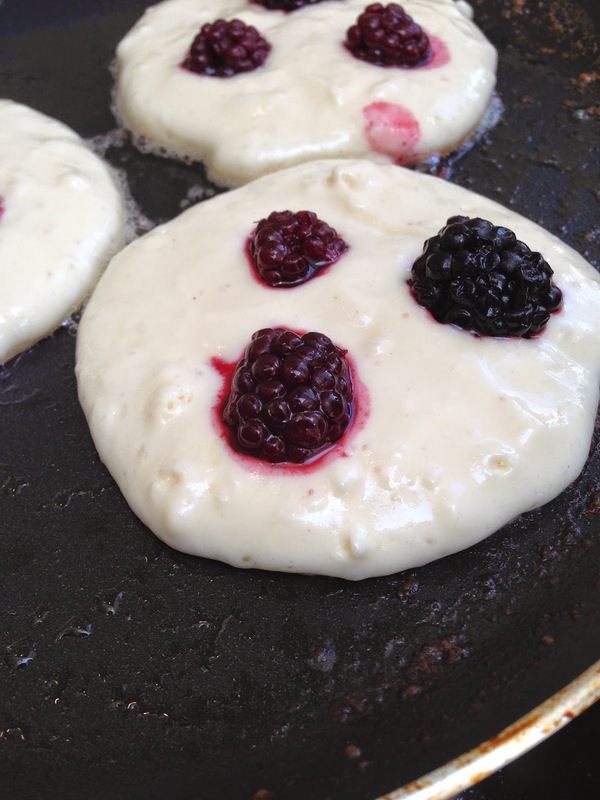 Lightly grease the frying pan with some oil/butter, add tablespoon of batter and drop on some frozen berries if desired and fry on very low heat. When golden on bottom flip over and cook until golden brown. Serve with syrup, butter or jam. They freeze very well too. Its Friday evening and the house is empty Lee is down the pub and the boy's are round their cousins house ! This means that I can cook whatever I want for dinner just for me. This is what I made and it was so good I will try again with different flavour combinations. The recipe is from Nigel Slaters book EAT. The recipe below is for 4, so I halved it and ate half and half again ! Boil the spaghetti 10 mins until al dente then drain and rinse under cold water. Fry the pancetta and garlic in a little olive oil until crisp. In a bowl toss the spaghetti, pancetta, vegetable stock and cream together. Tip into a baking dish and sprinkle with parmesan. Bake at 180 C for 30 mins. Going to try the leftovers cold for lunch tomorrow, if Lee doesn't eat it when he returns from pub. Whilst sitting in the garden drinking my morning coffee I was staring at the daisy circle waving at me that I accidentally mowed down last Sunday, I was thinking about food again. There were no nice snacks in the house so I flicked through Nigel Slaters book EAT and decided to whip up his oat cookies. Samuel's not keen on oats, so I decided to drizzle them in chocolate to make them more appealing. In kitchenaid mixer, cream the butter, sugar together until light in colour, add the egg yolk oats and flour & baking powder. Roll into 9 equal balls in the palm of your hand and place on lined baking sheet. Flatten into rounds the size of a digestive biscuit and bake for 12 minutes until light golden brown. They were very nice, I asked Samuel what he thought, the chocolate was licked off and he left the biscuit !